Vengeance drives the plot of this fiendish, darkly sharp noir thriller. There’s little true light in the Athenian Union of Kris Kyzer’s Brutus Nation-–only the artificial conflagration of revenge. This cinematically violent thriller burns with a dystopian edge. The unceasing nature of Brutus Nation‘s violent events is likely to result in graphic novel and video game comparisons, particularly considering the profusion of lines like “the claret from the wound left a red swoosh on the blazingly white wall.” Monstrous actions all serve the larger plot, though. The fiendish genius of this work is that its continual violence cannot be called gratuitous, while its few moments of humanity, which are all squelched quickly, are themselves the sore thumb of the whole. Even apparently morally pure characters may find themselves sullied by the novel’s end. Expressions of love lack the dimensionality of the organizing scheme, and the few tears shed throughout can likely be filed as “crocodile.” The last twist is a bit of a narrative cheat, but the whole package is effectively wicked and surprising. 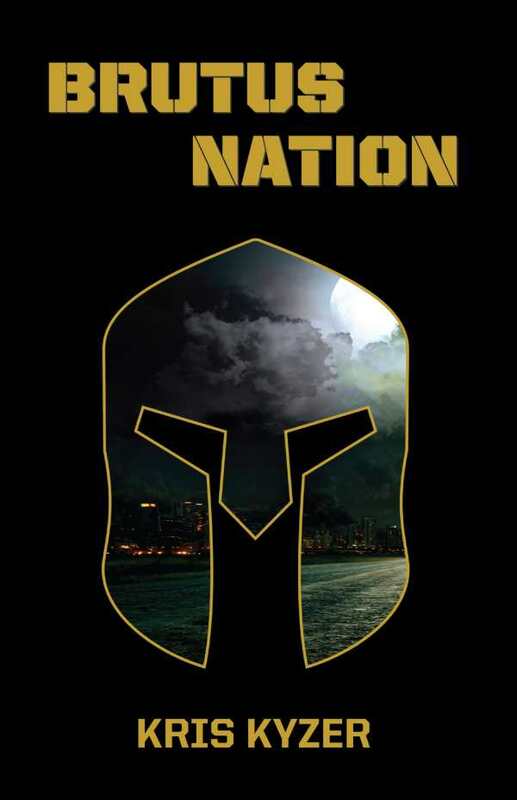 Brutus Nation is a swift and merciless noir thriller in which no one is safe from the ambitious and bitter decisions of those afforded even the slightest social control.